When searching for an office for sale in Slough, you want yourself and your staff to be comfortable and happy. The interior space of any office you view in Slough will need to give you a working layout, and allow you to separate your workforce if required. We think it's key to always make sure you have everything you need in an office that your looking to buy in Slough, to prevent yourself from having to move again too soon. If you're searching for an office to buy in Slough, MOVEHUT is here to help you find the right one for your business. You can refine your search by location, radius or postcode to ensure you only view the offices that are relevant to your search. So why not kick off your search for an office property for sale in Slough with MOVEHUT, and see how quickly we can produce the results you're looking for. When searching for offices to buy in Slough, you'll get the best results if you've taken the time to consider a few details. Keeping a tight rein on your budget is one of our best tips, as it always helps to know what you can exactly spend on an office in Slough. So with the help of our tips and our great office listings, we can help you find a great property to buy in Slough! 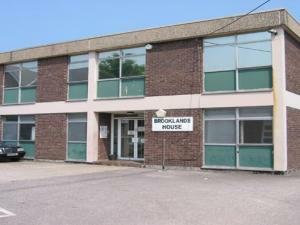 There is a wide range of offices for sale in Slough to suit your requirements. You might be searching for a small to medium sized office for you and your team. On the other hand, you might prefer a larger offices for sale in Slough, it doesn't matter what you need MOVEHUT lists all types. Finding an office for sale in Slough means you will have quite a few factors to weigh up. You'll want to think about how the internal layout of the office works for your company in Slough. It's also worth weighing up the local transportation links with any office in Slough you're considering. If you're looking for an office for sale in Slough, MOVEHUT will have the one for you, at a price that won't break your budget. With an extensive range of office properties, MOVEHUT are confident you can find an office for sale in Slough from £100,000 to £500,000 and upwards. So get started with your office for sale search in Slough, whatever your property budget, MOVEHUT can help. Finding the right location for your office is a very important decision when looking to buy in Slough. Locating to an area that gives both your staff and customers access to your business should be carefully considered when buying. So let MOVEHUT help you find an office in a location that works for you. 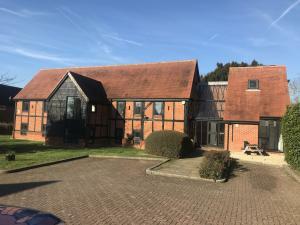 It will make it easier to find a suitable office for sale in Slough if you take the time to consider exactly what you require from the property. You simply might need to make sure that you have the necessary resources available locally for your office based business to run efficiently. So when you have an idea of the details that matter most to you, let MOVEHUT help you find the right office property for sale in Slough today. Every commercial property in Slough carries a classification relating to its accepted usage. If you're looking for an office to buy in Slough it will save time if you choose a property with the correct classification. Once you know the right classification for your intended usage, let MOVEHUT help you find the right offices for sale in Slough.